The Department of Public Safety changed security staff providers for the campus perimeter from Staff Pro to Contemporary Services Corporation on Monday, making CSC the sole security personnel company used by DPS. 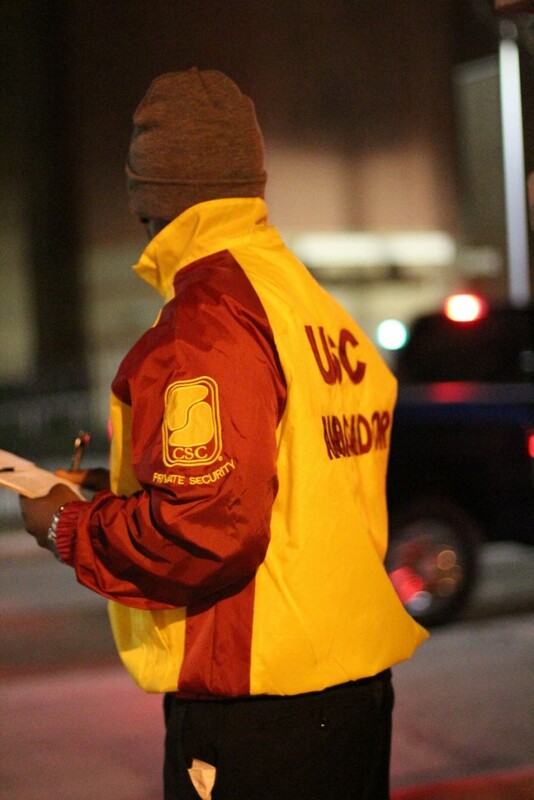 CSC employees will now serve as ambassadors at fixed off-campus locations, gate check-in locations from 9 p.m. to 6 a.m. and at several busy on-campus areas during the evening, such as Doheny Library, Leavey Library and Tutor Campus Center. The change from Staff Pro to CSC was brought about by input from the USC community as well as internal logistical needs within DPS. The new CSC hires will be stationed at campus entrances that are open after 9 p.m., greeting students and other guests while monitoring the flow of people in and out of campus. Originally meant to create a greater sense of continuity for on-campus security — since Staff Pro already provides personnel at student dorms — DPS has decided to end its experiment with Staff Pro and make the change to CSC once more, this time for the long haul. Both companies made similar bids, and CSC’s culture seems to mesh more seamlessly with that of DPS’s own officers and personnel, Carlisle said. In addition, it is easier for DPS administrative officials to coordinate with a single company’s supervisors, streamlining day-to-day communications and operations. 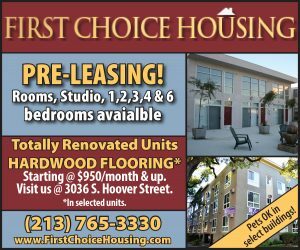 USC Housing will continue to use Staff Pro for checking students and their guests into dorms, and other departments may choose to contract with Staff Pro separately. The change to CSC for perimeter security was partly inspired by feedback from students, some of whom were dissatisfied with the quality of service provided by Staff Pro. “There were many times when I noticed that Staff Pro employees were on their phones or tablets. They were listening to music or had their earphones on. How are they supposed to monitor their surroundings if they are preoccupied with their phones or watching movies?” Cheryl Hagan, a freshman majoring in criminal justice, said in an email to the Daily Trojan. This is in contrast to the exceptional service she said she received from CSC’s gate personnel.